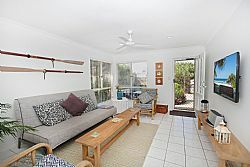 Flooded with natural light, this three bedroom holiday unit is perfectly located to enjoy a laidback beachside vacation. 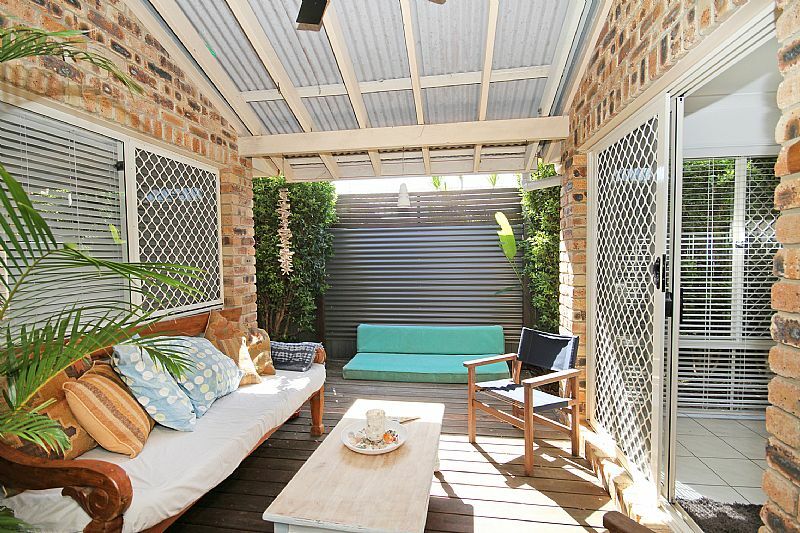 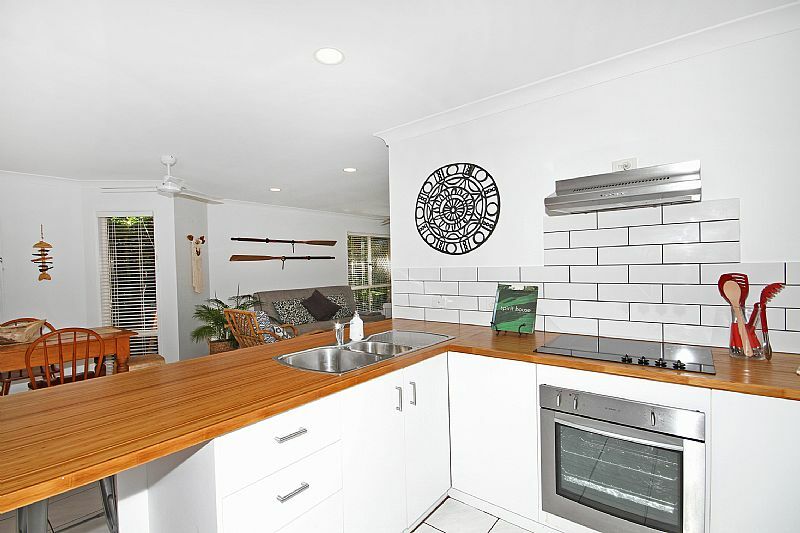 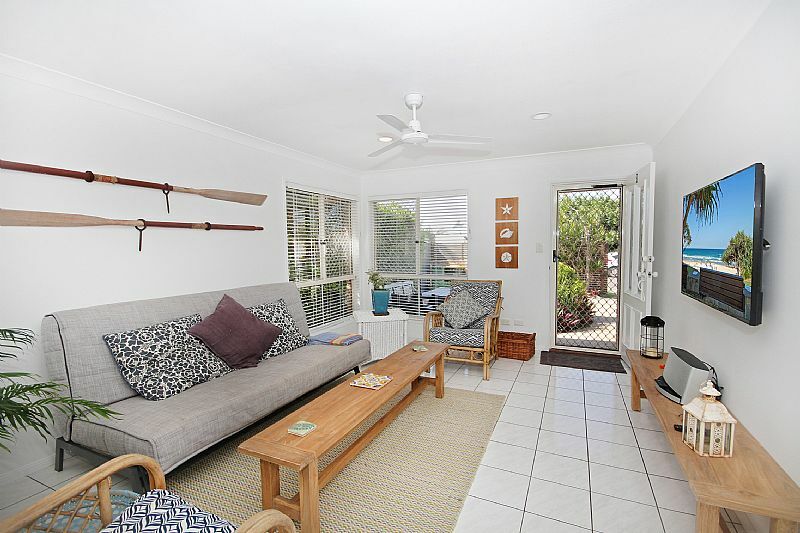 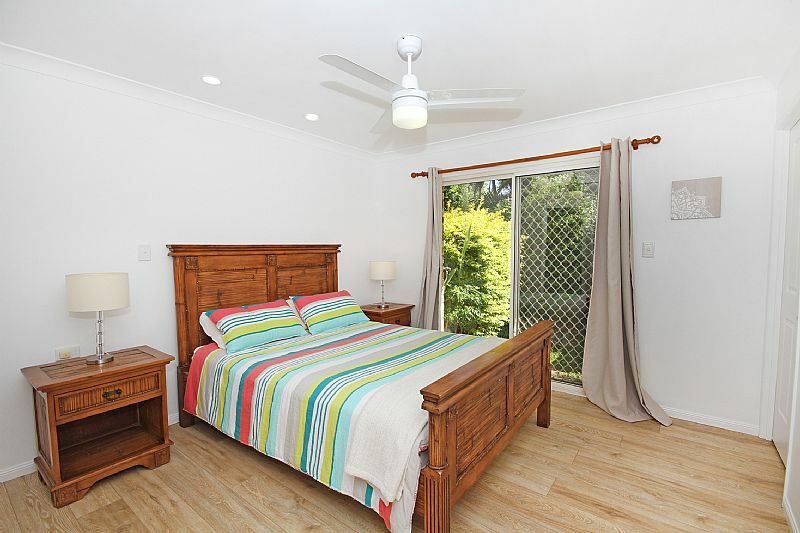 Decorated with a shabby-chic beach theme, guests can relax in cool surroundings with a fully tiled open plan living area, covered outdoor alfresco area and modern kitchen with feature timber benchtops. 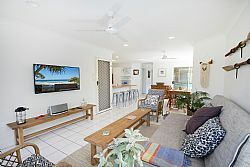 Well equipped for groups of families or friends, guests can relax in the main living area with futon couch and flat screen TV or retreat to the sleepout where they will find an additional TV and couch. 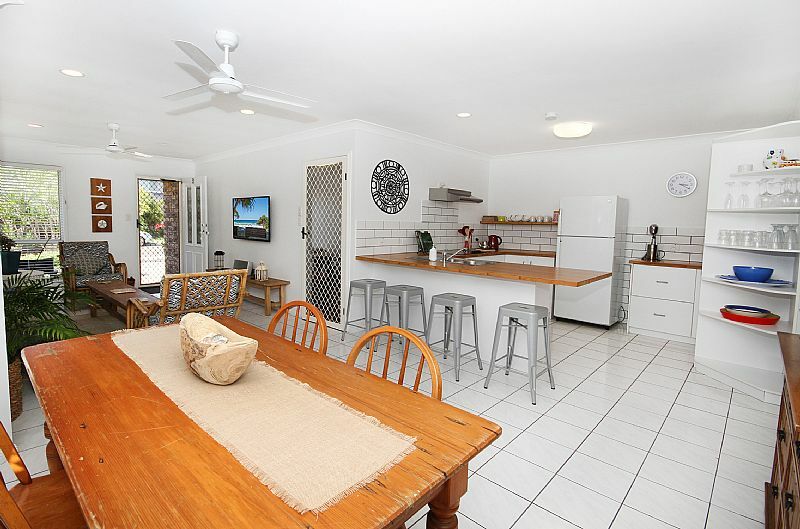 Enjoy alfresco dining in the outdoor courtyard or make use of the eclectic dining table indoors or breakfast bar with stools for four. 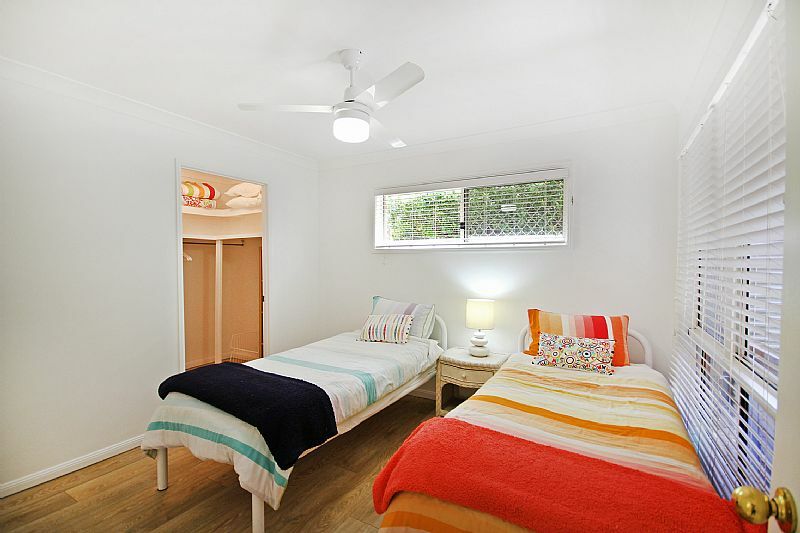 This home sleeps up to six people with a queen bedroom, twin single bedroom and two single beds in the sleepout. 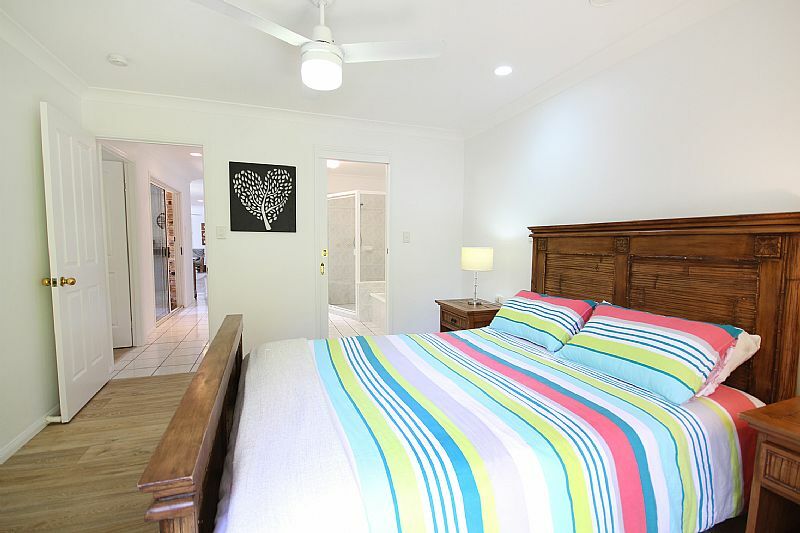 All bedrooms have ceiling fans for comfort and stunning timber look flooring which embraces the beachside theme of the unit. 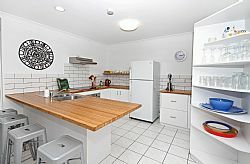 The bathroom is large and features both a bath and shower, while the laundry has a large 7.5kg Simpson washing machine and Fisher and Paykel dryer. 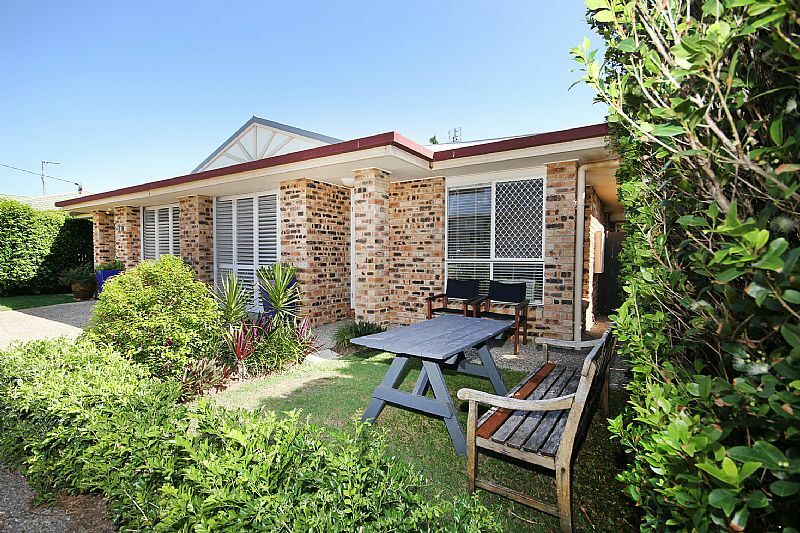 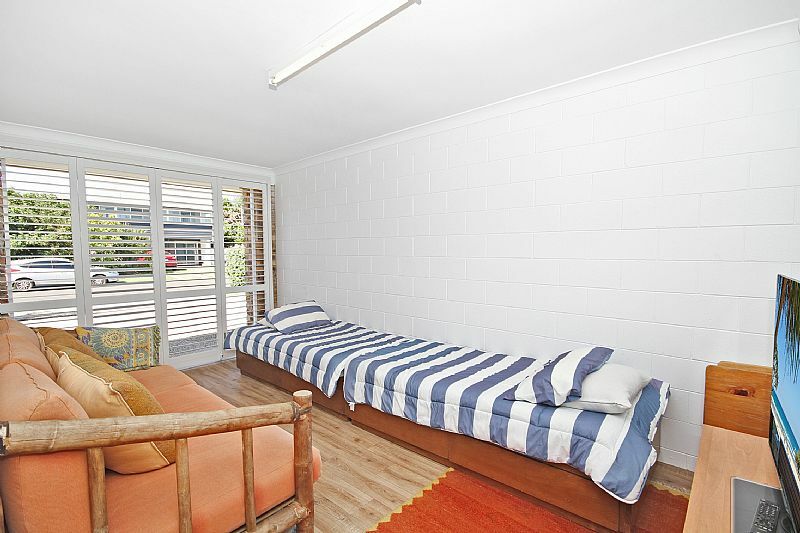 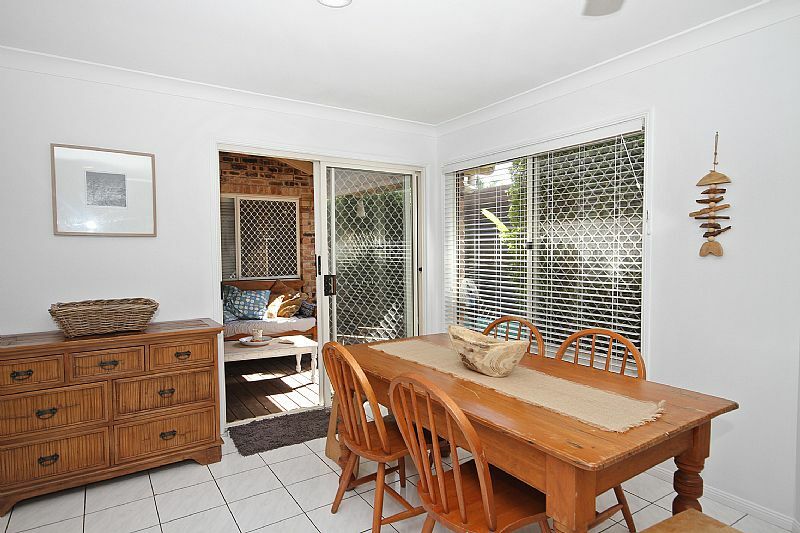 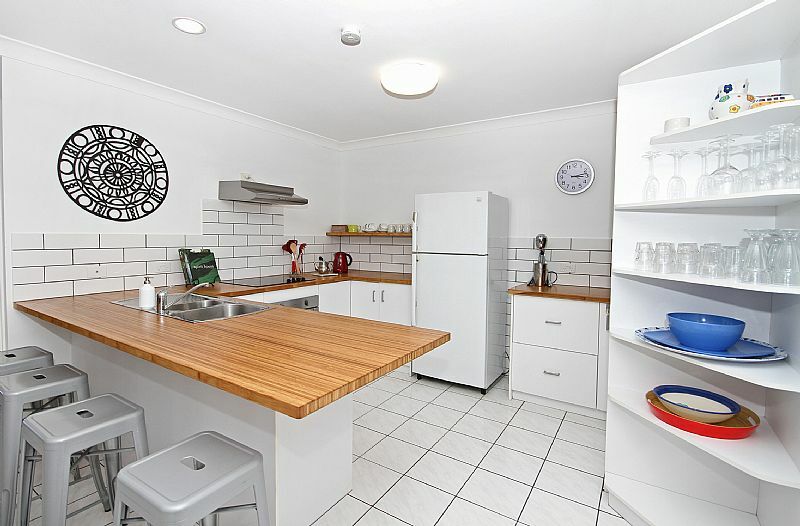 Off street parking and an outdoor washing line for drying clothes and towels after a day at the beach complete the package this fabulous unit has to offer.